NOTHING was going to stop Jasmine Wholton from attending her high school formal on Thursday night. 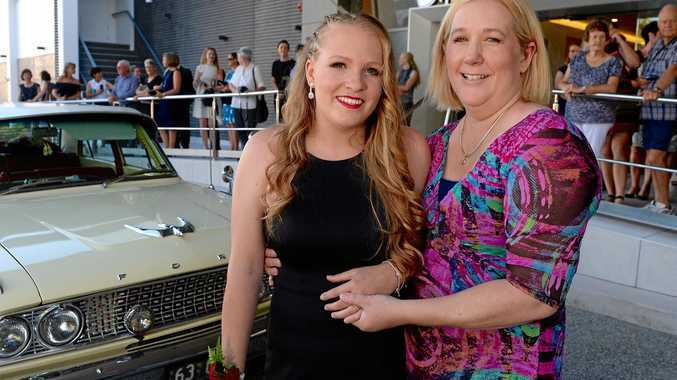 At 5pm while all her friends from the Nambour Christian College were walking in to the Maroochy RSL for their final night as Year 12 students, she turned up in a vintage Ford and stepped out of her wheelchair to applause. On Sunday the 18-year-old suffered multiple seizures while travelling back from Ipswich with her family. 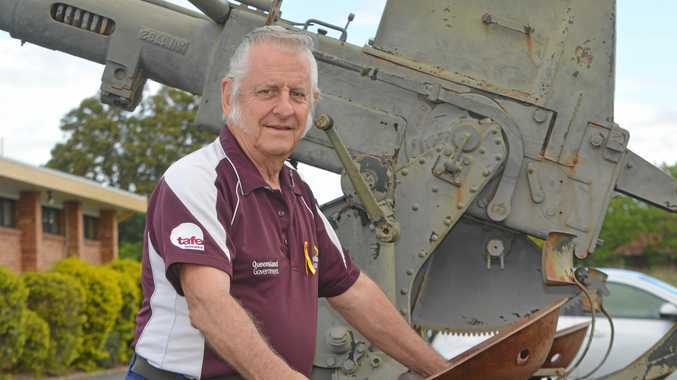 She was rushed to the emergency department at the Nambour General Hospital with a neurological disorder that had paralysed the right side of her body. A full recovery is expected, however, all Jasmine's plans to attend her formal were crushed when she was confined to her hospital room in a wheelchair. Mum Michelle Burton said they had planned to spend today in Brisbane getting pampered but were in hospital getting tests until a surprise came knocking on their door. 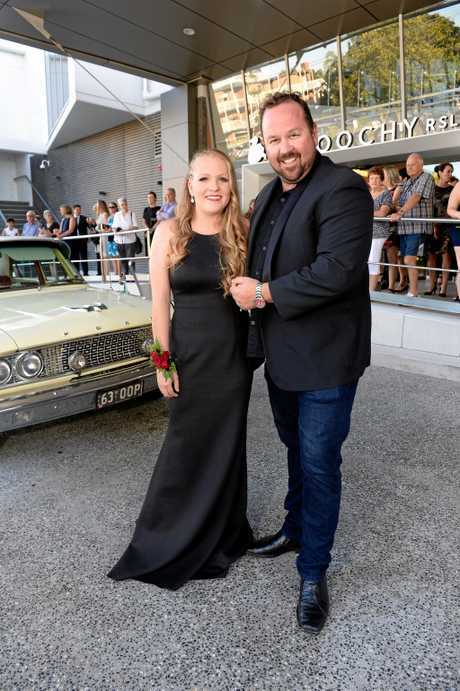 With help from the Nambour hospital and Hot 91 radio show, Nambour Hair and Beauty and Flawless Hair and Beauty primped and primed the Kenilworth resident until she was the belle of the ball. 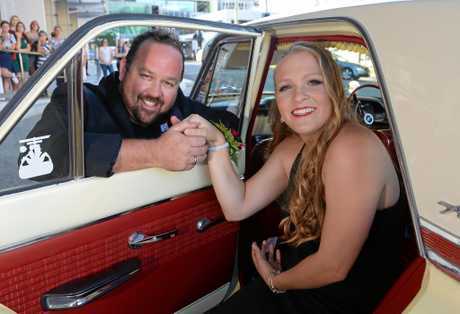 Just as the final touches were in place, a 1963 Ford pulled up out the front of the hospital with Hot 91's Sam Coward ready to chaperone Jasmine to the formal. "We are just gobsmacked," Michelle said. "Her whole last week of Year 12 was meant to be fun. "I didn't want her to miss out, you can't redo your Year 12 formal." Michelle said on Tuesday morning she put a post on Facebook reaching out to the community, for her "beautiful, selfless young lady" who deserved to "feel like a princess despite these medical issues and setbacks". "We can't believe the response," she said. "We had people calling to say they wanted to help get her there, and the hospital said she could leave for three hours before it would be too much. "She was concerned about turning up to the formal by herself so the lovely Sam escorted her," Michelle said. Jasmine, who was glad she wouldn't have to be walking in to her formal in heels, donned her Doc Martins and a big smile. "I could be a lot worse off," the bubbly teen said. "It's made me realise how lucky I am and not to take anything for granted. "One minute I was in the swimming pool with friends, then next thing I'm in the emergency room." Jasmine said she couldn't wait to celebrate with her friends who had become a "community" in their final year. When she graduates she plans on studying veterinary science. Michelle said it was unclear how long Jasmine would stay in hospital. "It's a time factor, it could be weeks or months, we don't know," she said. For now, they were just glad to see her graduate.